Say what you want about Marvel’s latest event book, Secret Empire, and the myriad of controversy surrounding it, but it’s undeniable that writer Nick Spencer and company have been knocking it out of the park thus far. In fact, both issues #0 and #1 have had the honor of receiving perfect scores from us (respective reviews can be found here and here). That last sentiment may also ring true for the rest of the House of Ideas’ pantheon of heroes as well. After all, who’d have ever thought that their most trusted ally would one day take over the world and have kids hailing Hydra every morning in public schools? Sometimes the bad guys have to win – albeit temporarily – in order for the good guys to truly test their mettle. In the video embedded at the top, Spencer briefly touches on this theme and what it means for the Marvel Universe. Still, you shouldn’t freak out too much because it looks like all will be well sometime this fall, as Rogers may very well return to his patriotic roots. 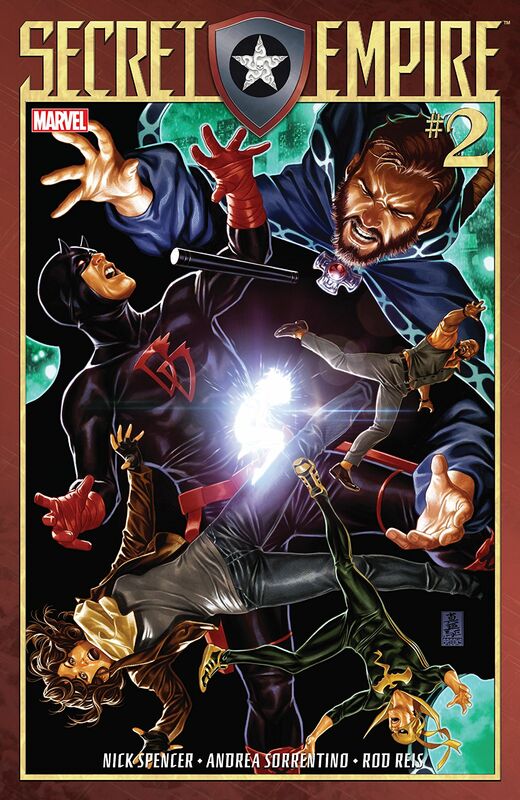 The next chapter in the saga, Secret Empire #2, is set to arrive in comic shops on May 17, and the cover can be seen below.